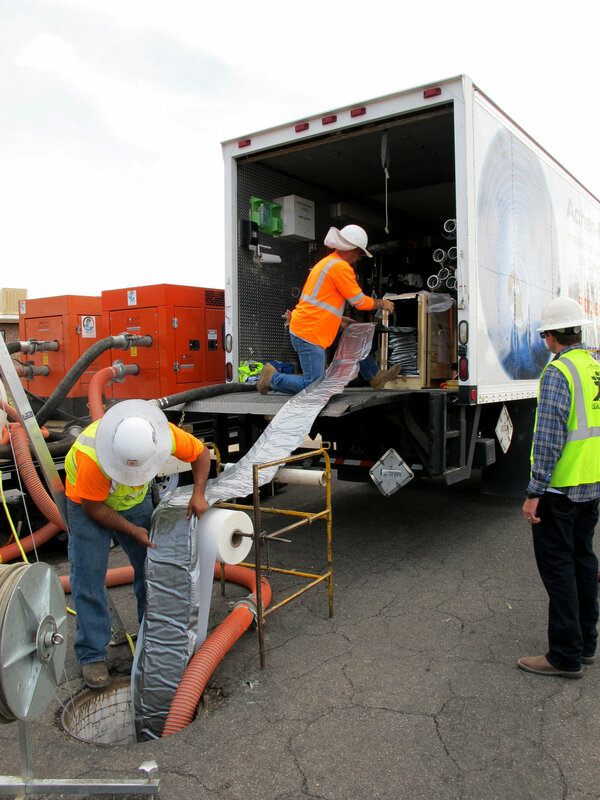 We are the preferred contractor for completing complex wet utility pipe rehabilitation projects due to our experience in the use of cured-in-place pipe (CIPP), jack and bore, directional drilling, sliplining, and pipe bursting techniques. 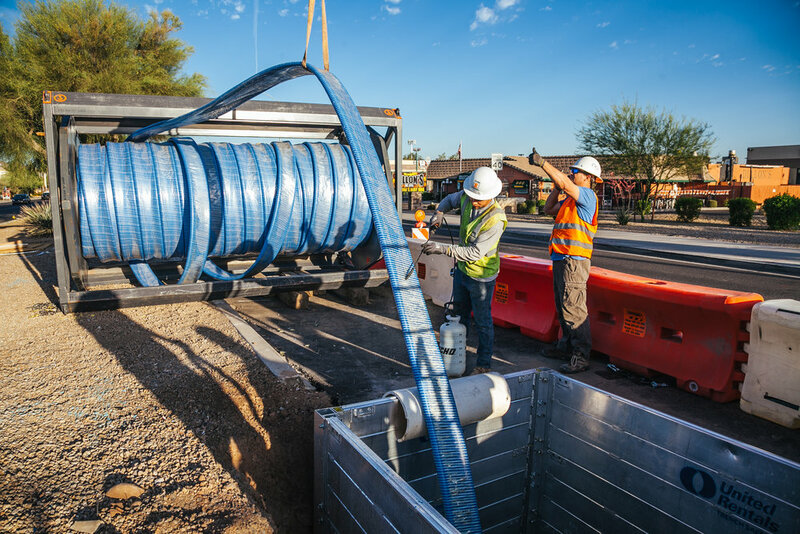 Our crews recently installed the largest diameter and longest segment of Primus Line in the state of Arizona. Read more about this trenchless water line rehabilitation on the project page. For more information We have managed the installation of more than 350,000 LF of felt (heat-cured) CIPP and we have self-performed the installation of more than 250,000 LF of ultraviolet light-cured CIPP (UV CIPP). Visit our UV CIPP Rehabilitation page for more information.